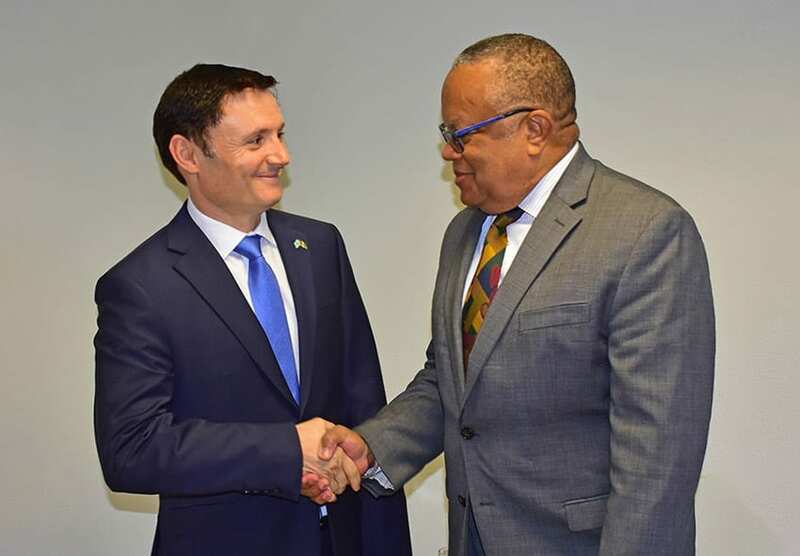 If there is one thing outgoing Ambassador of Cuba to Barbados, Francisco Fernández Peña wishes to be remembered for, it is for promoting the Caribbean as ‘one’. 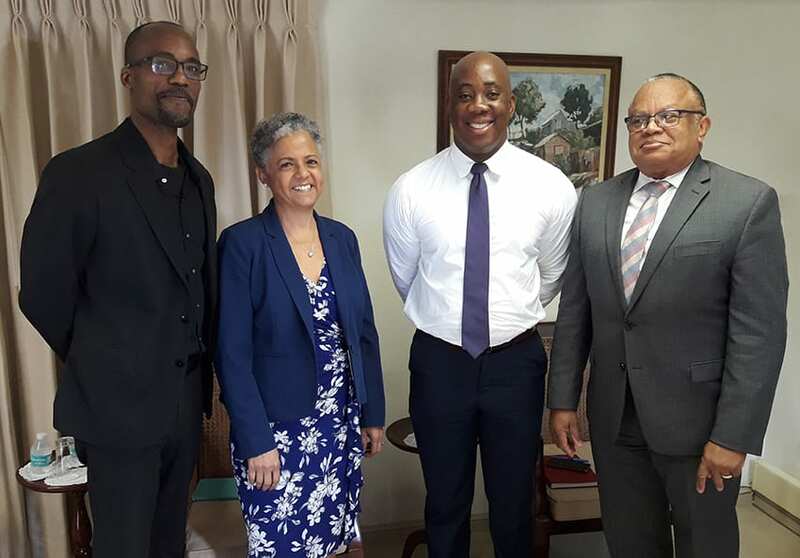 He stressed this during a farewell reception recently held by the Cuban Embassy of Barbados in his honour at Hotel PomMarine, the Hospitality Institute of the Barbados Community College. 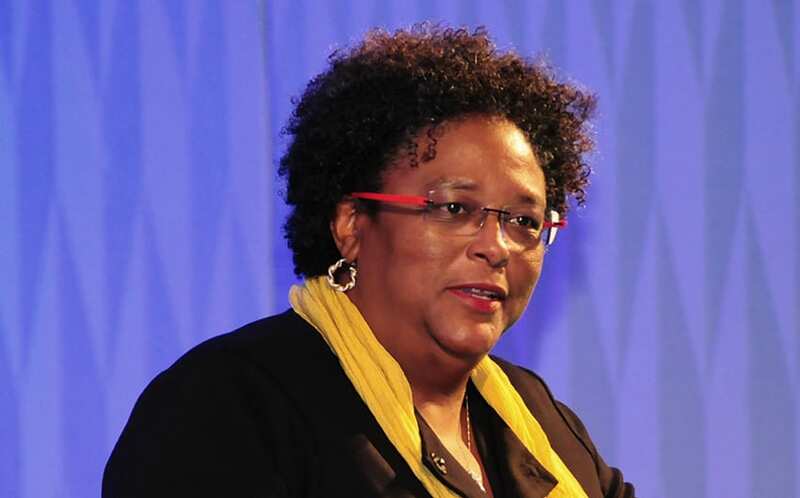 “Cuba is not Cuba and the Caribbean. 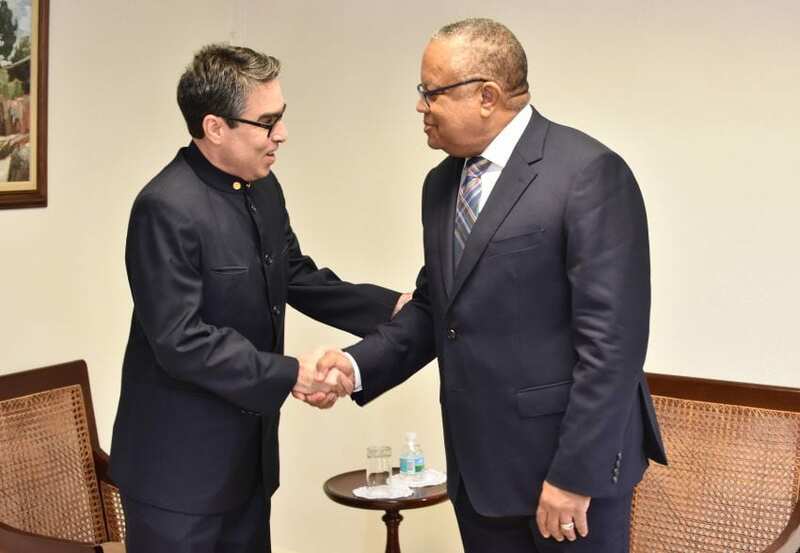 We are the Caribbean… the Caribbean is the Dutch countries, the French countries, the Spanish countries and the English countries, so we are the Caribbean,” Ambassador Fernández emphasized to a resounding round of applause. 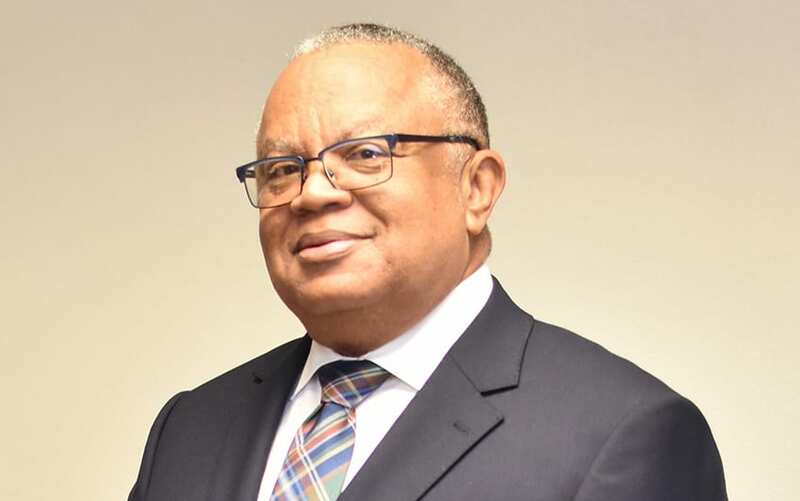 Attendees at the function included Chief Justice of Barbados, Sir Marston Gibson; Minister of Foreign Affairs and Foreign Trade, Senator Dr. Jerome Walcott; several government ministers, ambassadors and representatives from local, regional and international organizations. 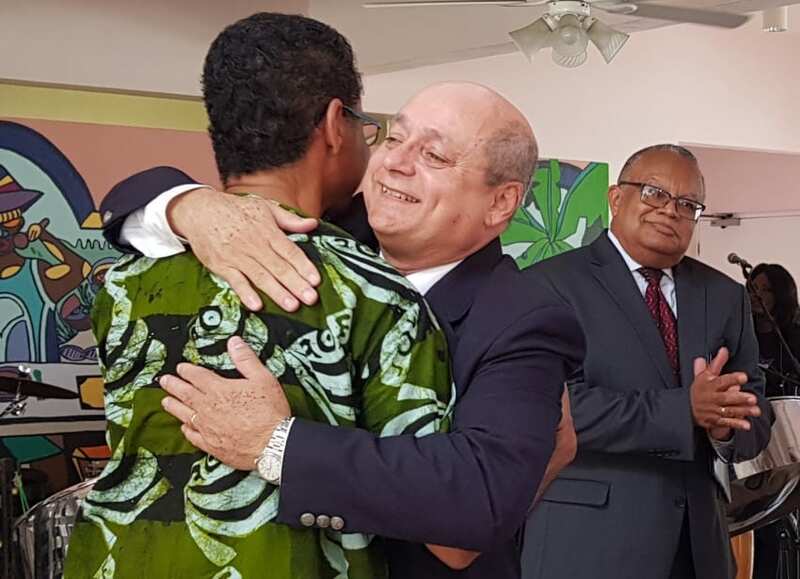 Senator Walcott said over the years, Ambassador Fernández had become a friend and it was with a “tinge of sadness” he bid him farewell. 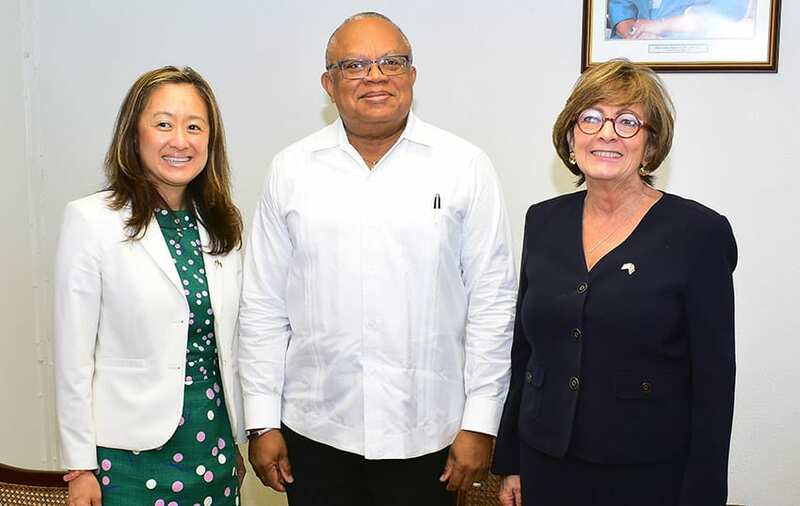 He stated that the envoy demonstrated “incredible dedication and passion” in his endeavours to enhance the excellent bilateral cooperation and friendship between Barbados and Cuba in areas such as tourism, health, education, agriculture and sports. 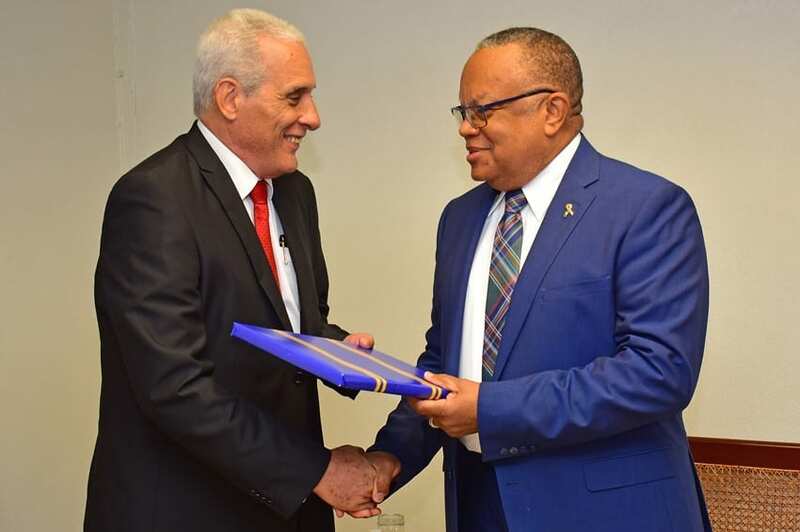 The Minister of Foreign Affairs highlighted the Cuban Alzheimer’s care programme and Cuban sporting programme as examples, stressing the latter “was verification of the commitment and dedication of your coaches to improving the abilities of our young people in various sporting activities”. 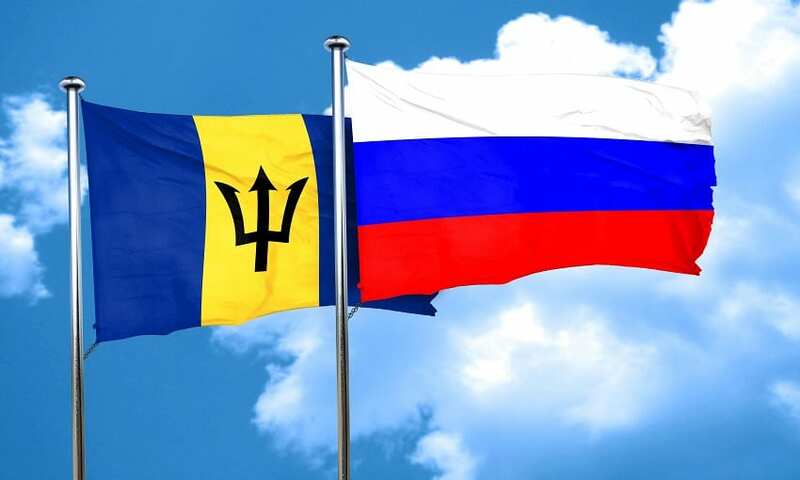 “Ambassador, there is no denying that you have accomplished a great deal during your tenure here in Barbados. 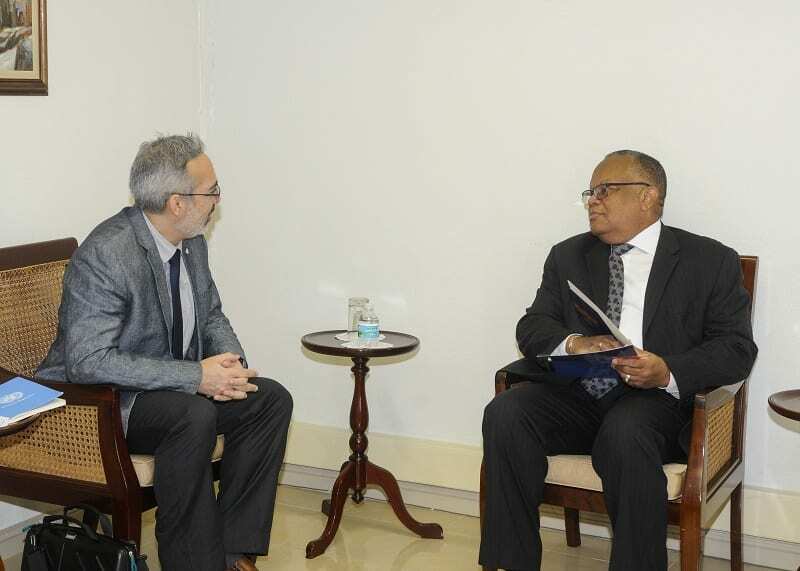 As you know, there remains considerable scope for cooperation in the many areas of common interest. 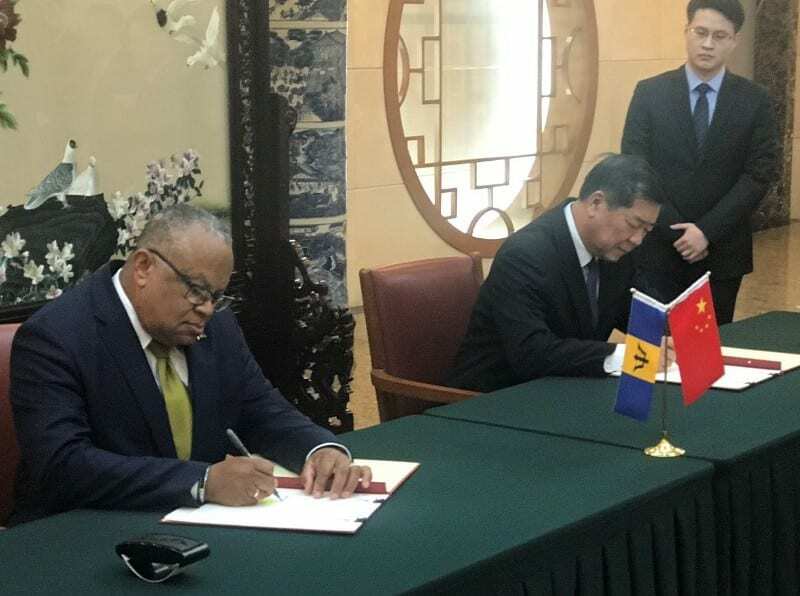 “When the Ministry of Education, Technological and Vocational Training finalizes a Memorandum of Understanding with the Cuban Ministry of Higher Education, greater opportunities would exist to strengthen cooperation and exchanges in educational tourism, language training, agriculture, special needs education, the culinary, visual and performing arts,” the Minister shared. 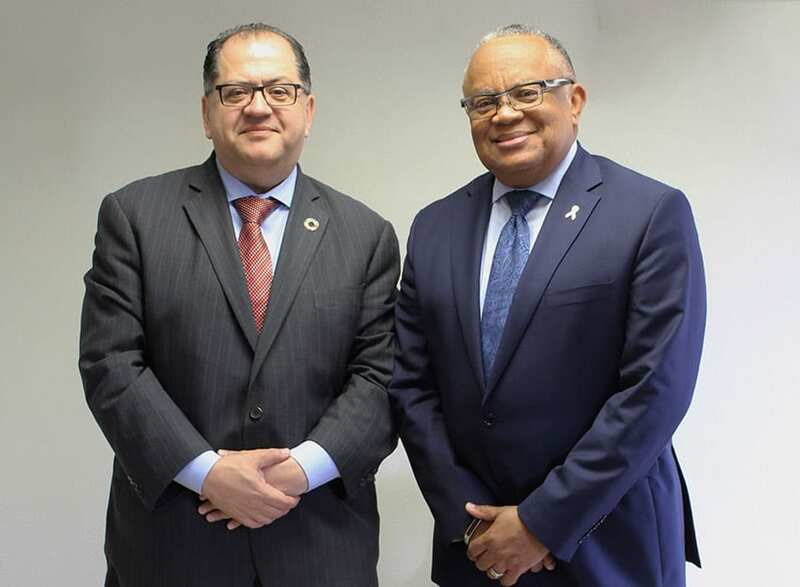 UNICEF’s Representative to Barbados and the Eastern Caribbean, Dr. Aloys Kamuragiye, also lauded Ambassador Fernández for his contribution to countries affected during natural disaster crises in the region. 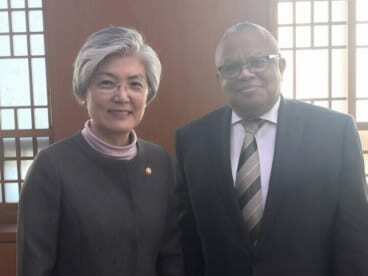 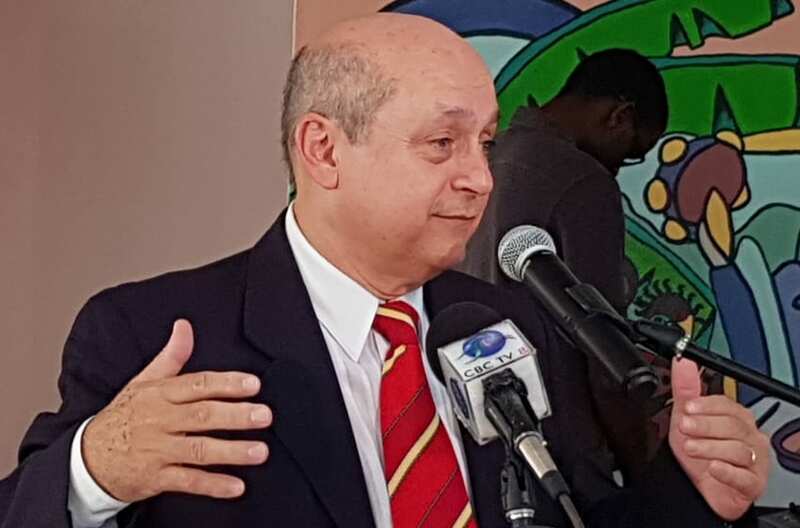 Speaking as a representative of the Pan African community on the island, Barbados’ Ambassador to CARICOM, David Comissiong, said the Cuban envoy was “more than a friend, he is a brother”.